People were quick to discourage me from the priesthood as it meant I couldn’t have any of the other wonderful things that I said I wanted, so my dreams were quickly dashed. That is until one day when I was nine-years-old and my dear Italian grandfather, Nonno, called me over to come and sit with him on the couch. In his gentle accented voice he informed me that despite having a very large family we had no priests or no nuns in it – which was unacceptable. Therefore, he proposed that I should become a priest. Finally, someone who encouraged me! At the obviously mature age of nine, I confidently made up my mind that I didn’t need all of the other things I said I wanted and that I would become a priest. That was nice until about the end of grade six. By that time, I had practically no friends, was severely picked on for being a “church-boy” and decided that perhaps upon entering my new middle school, the time was right to put the priesthood on the back-burner and try and actually make some friends. I did so with great success, by the end of grade seven having made many great friends. I also discovered that girls were not in fact infested with cooties and that perhaps I should like to have one of my own someday. Therefore, by grade nine, I was pleased to have decided that I would not be a priest – and no one in my new school even knew, or at least remembered, I had ever wanted to. One day, near the end of grade nine, while walking down the hallway, the very tall and intimidating Mr. Pat Cullen, math teacher and heavy pipe smoker with white hair tinged yellow, stopped me in my tracks, stood over me and in his booming deep voice proclaimed, “Cristino, I think you should consider the priesthood.” I was speechless. How in the world did he have a clue that I had ever considered it? As another teacher passed by, Mr. Cullen solicited his opinion and dear Dr. Glashan agreed – I was called to become a priest. This incited unimaginable panic as I thought I had moved past that embarrassing chapter of my life. Now, however, I could not stop thinking about it. The wheels were turning yet again, with a force which I had not yet experienced. I carried this burden around secretly for several months, constantly wondering if I was actually going to become a priest, paranoid about talking to girls in case I accidently fell in love with one only to break her heart when I left for the seminary…in three years… and most of all, wondering if anyone else was onto my secret waiting to expose me to the world and an endless fury of sarcasm and rejection. I finally couldn’t take it any more. During a retreat put on by our youth group my best friend, who was temporarily disabled with a broken leg, needed to be helped back to our cabin. We were alone in there when I decided to just get it all out. I swore him to secrecy and then confided that I was afraid I may have been being called to the priesthood. He got a shocked look on his face and exclaimed, “You too? !” It turns out that all the while I was having my own pubescent-life crisis, he was having the same one. We spoke about it at length, promised to keep it between ourselves, and from that day forward pretty much talked exclusively about the possibility of becoming priests – and the girls we would never marry. Sadly, his dad was transferred and by the end of the summer between grade nine and ten, he moved 500 km away. It was back to dealing with it all on my own; but not until one final culminating experience we shared which really set things in motion for me. I left that ordination totally mystified about what had happened. Being as thick-headed as I am, however, I refused to accept that the incident was actually a legitimate sign. So I went home, unable to attend WYD, but watched all of the coverage of the events which transpired. 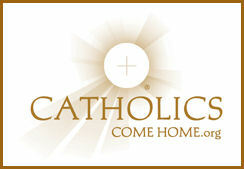 During the televised papal Mass, I was captivated by our dear, late Holy Father, Blessed John Paul II. There was a point during his homily where he began to speak English again, he looked up, as if into the camera and directly at me, and with a renewed strength, spoke these life changing words, “Today, there are many priests, seminarians and religious among us. Love them, support them, keep them close to your hearts. And perhaps some of you have considered a call to the priesthood or religious life, to you I say, Do not be afraid to follow Christ on the Royal Road of the Cross! Do not be afraid to follow the call of God in your hearts! In that instant, a wave of peace swept over me that covered me from head to toe in goose bumps. The pope himself had just assured me that it would all be OK. From that day I had resolved that I would at least go to the seminary after high school to check the priesthood out, confident that, after a year or two, I would be free of such crazy talk and be able to move on with my life. That was a little over eight years ago. 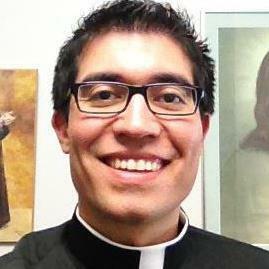 I have been a priest now for almost three months and these last three months have made my 26 years worth living. There are literally days where I lay down to sleep at night and take the words from the Church’s night prayer, the words of Simeon, very literally, “Lord, now you let your servant go in peace. Your word has been fulfilled.” I can’t imagine being any happier than I am right now and it blows my mind to consider the generosity of our God for having called me to this incredible vocation. Bringing Christ into people’s lives by being Christ, a mystery beyond my comprehension, never ceases to amaze me. Feeding people with our Blessed Lord’s Body and Blood, consecrated by my own hands; forgiving their sins and restoring their life with God; easing their suffering at the moment of death with the healing balm of Christ’s touch; there really is no life like the priest’s, and it is mine. I will never be able to adequately show my gratitude; so I will spend my life trying to in service.